Delicious medium-sized fruit. Superb disease resistance. RHS Award of Garden Merit winner. Plants supplied will be strong, open-ground runners (plants), certified under the Plant Health Propagation Scheme (PHPS). All plants will be hand graded and selected before packing. Note: At despatch time, plants will be partially dormant and some may have very little foliage. Once planted they are ready to grow away vigorously in spring. 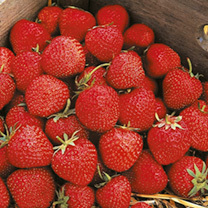 Preparation for Planting: Plant strawberries 45cm (18") apart with 75cm (2½’) between each row. 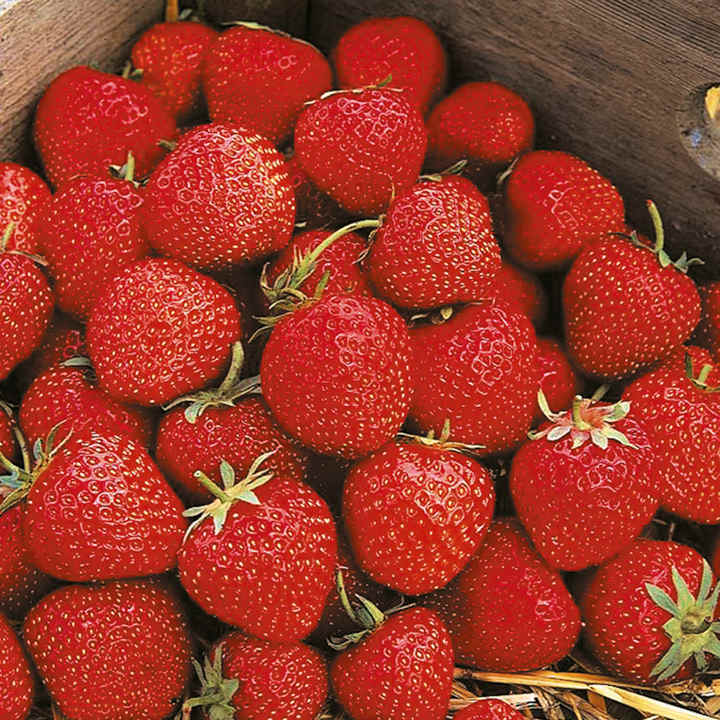 Choose a sunny, sheltered spot and dig in plenty of well-rotted manure or compost.